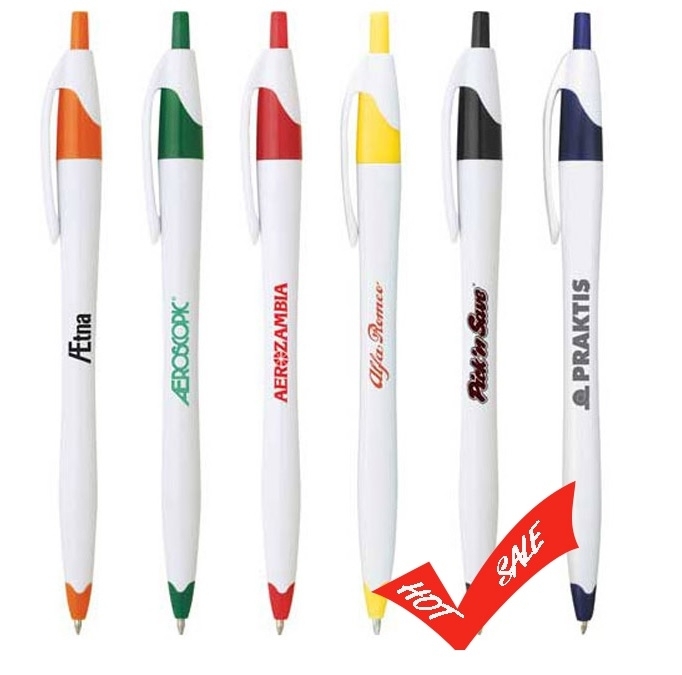 PJK00002 - Click action ballpoint pen with comfort grip, black ink. Packaging: 100pcs/poly bag; 100pcs / middle box; Units/Ctn: 2000; Weight/Ctn: 35 lbs. Additional Color Running Charge: 10,000-$0.05, 30,000-$0.05, 50,000-$0.05, 100,000-$0.05, 1,000,000-$0.05 (KKKKK). Additional charges may apply.